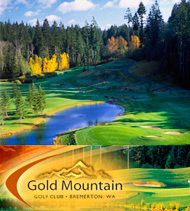 The Kitsap Peninsula is a popular destination for outdoor and indoor recreation for all ages. We have miles of great shoreline, routes for leisure cycling and host major annual events like the Cascade Bicycle Club's Chilly Hilly every February. Use the Recreation Search filter to find more activities happening in and around the Kitsap Peninsula. From 60-mile mountain-bike races in the woods to soccer matches, certified marathons on the road or on trails to 100-mile bike rides, outdoor recreation happens year-round on the Kitsap Peninisula. Use our Recreation Search to find places, services and events. 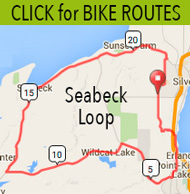 Click here for a list of bike and cycling events. 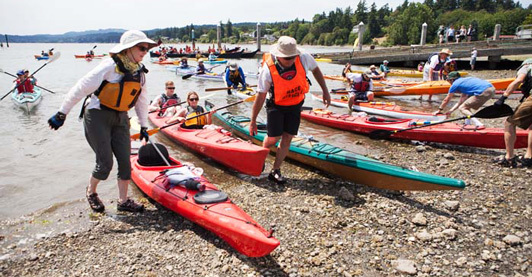 Check out TerraDrift's article Outdoor Activities on Kitsap Peninsula - Seattle's Outdoor Playground. Introducing our Kitsap Peninsula Visitors Guide & Outdoor Recreation & Bike Map featuring a region-wide map. 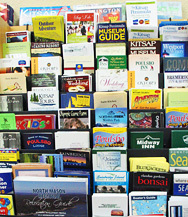 Click here to view an online image of the Visitor's Guides with information about of cities, towns, and attractions. 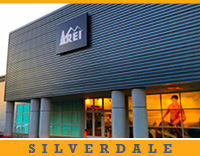 Click here to view an online image of the Outdoor Recreation with bike routes and other recreation information. In 2014, the U.S. Department of the Interior designated the Kitsap Peninsula National Water Trails (KPNWT) part of the National Water Trails System, the first in Washington state. Kitsap County, in partnership with the VKP recently complete a new interactive map that lists nearly 60 of the most popular KPNWT access points. For more information about the trails and the KPNWT Alliance, please visit new dedicated KP National Water Trails website.